The Department of Athletics, Sports and Recreation at St. George’s University in a recent application letter to the Grenada Football Association, advised of the university’s mandate to raise the profile of sports throughout Grenada. In its letter written to the association, Dean of Athletics and Director of Athletics, Sports and Recreation, George McGuire, informed the association of the university’s desire to join the GFA as an affiliate in order to expand the number of opportunities offered to its students for sports, exercise sciences and recreation. “We are therefore seeking affiliate membership with the GFA to pursue our common interests and to expand opportunities for professional proficiency and Coaching Certificate Programs in Football,” the letter stated. “Working in collaboration with WINDREF’S Sports for Health Program, under the directorship of Dr. Calum MacPherson, SGU is committed to find the resources to develop dynamic programs in health and wellness, and to achieve sustainable growth and development of soccer in Grenada, the aim being to impact higher standards throughout the nation,” McGuire stated in his application. St. George’s University recently hosted a very successful meeting at WINDREF, at which representatives of GFA, including the President, Mr. Cheney Joseph, and Mr. Lester Smith, Technical Director, assisted the SGU delegation in fine-tuning a project proposal aimed at strengthening the capabilities of our coaches in the island. 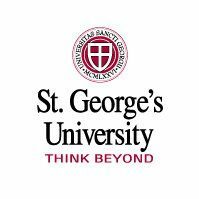 It is hoped that a Coaching Certificate Program will be launched soon at St. George’s University, which will attract the attention of all soccer coaches throughout the nation. The Grenada Football Association welcomes such a partnership with such a prestigious institution as St. George’s University.